Logins this hour: 25789 ? The blue text indicates that the person is assigned to more than one rotation during the block. If a person is on the same service for every day of a block, the rotation name appears in black text. If a person is on one service for the first half of a block and another for the second half, you'll see a red split-block, such as ER | Vac. If a person has any other mix of assignments in a block, the service the person is on the most shows in black text and other assignments in blue text at the top of the block cells. Click on a date cell along the top row and in the Infobox window, select the Fit detail to columns option. As you change block dates, OnCall will adjust the underlying assignments to match the new block dates. If you select Lock block detail and you change block dates, you'll get blue text in one or more column that represents overlap in the assignments. Each staff type has its own block-schedule page and block dates. 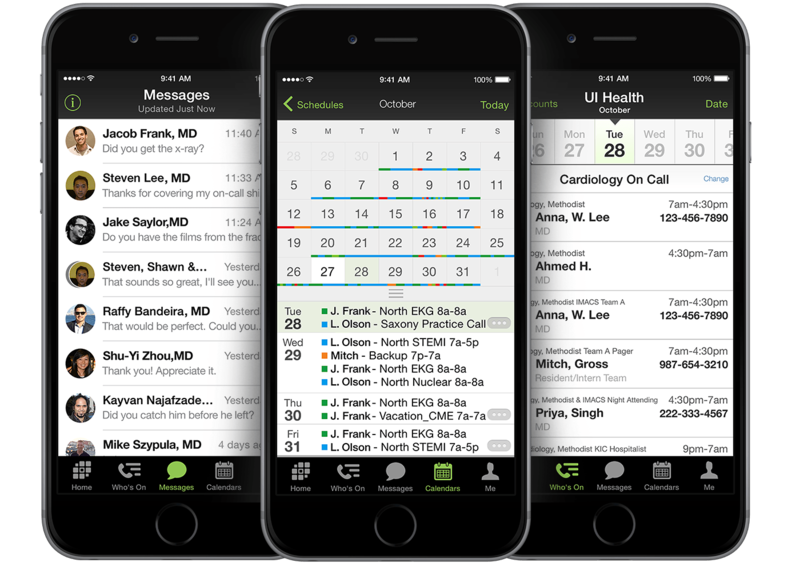 If your staff types have different switch dates from each other and more than one staff type is displayed at once, OnCall will display a lot of blue text. Go to View in your menu bar and turn OFF the All staff option. Next, click on a block date along the top and in the Infobox window select the Lock block detail option. Adjust the block dates at the top of your page until you match the rotation assignments. Blue text will disappear from the column as the block date lines up with entered assignments. Continue across until the body of the table looks good. Then in the Infobox window, select the Fit detail to columns option and adjust the block dates to the desired switch dates. Repeat this process for each of your staff type schedules.